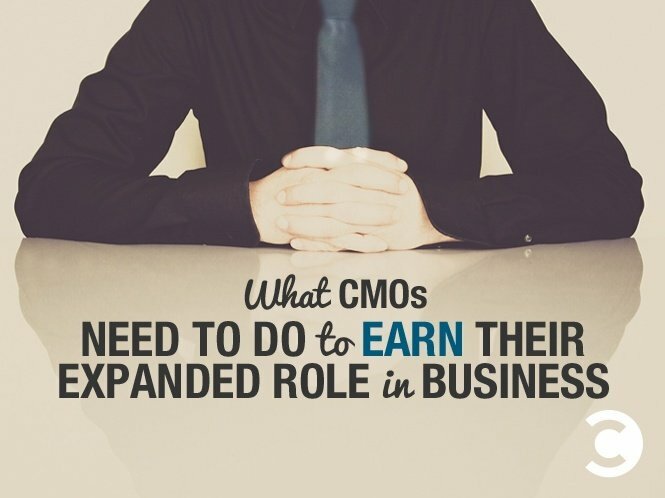 It’s a great time to be a CMO. And, it’s a tough time to be a CMO. CMOs used to adhere to the customer funnel, and create demand that was fulfilled by the sales department. Now, the consumer purchase funnel is dead, replaced by a real-time, always-on gumbo of interactions and experiences, most of them digital and fleeting. CMOs used to architect big advertising campaigns to convince customers to act. Now, consumers are besieged by messages from brands, and hyper-relevancy rather than big campaigns is the key to garnering a share of their attention. CMOs used to be able to think in quarterly and annual cycles, plotting moves far in advance. Now, with the rise of 1:1 marketing and micro-interactions, marketing is created and executed on the fly, often based on data mining. CMOs used to live a wholly separate existence from their counterparts in sales and customer service. Now, with the rise of online research, marketing is providing much of the information to prospective customers that sales used to provide, and with the concurrent rise in public feedback mechanisms (social and review sites), marketing and customer service are converging as well. The role of marketing (and the role of the CMO) has never been bigger or more important. But the ability to actually execute on that assignment – of delivering first-class customer experiences at every turn – is a frustrating challenge for most CMOs. 13% of CMOs are able to deliver a seamless customer experience across all touch points. In fact, as reported in a terrific ebook from Oracle Marketing Cloud (a sponsor of our Content Pros podcast) and The CMO Club, just 13% of CMOs (among 110 surveyed) thought they were able to truly deliver a seamless, personalized consistently customer experience across all touch points. On the surface, it’s remarkable that CMOs continue to struggle with this. After all, there are literally thousands of marketing technology companies born and bred to solve these issues. From content marketing to marketing automation to social media listening to predictive modeling to online customer care and self-help, the array of tech solutions available to the modern marketer is borderline ridiculous. So what’s the problem? CMOs have a broader remit than ever, and more tech (and budget) available to fulfill those expectations. Yet, 21% of CMOs report that they need help evaluating the right marketing platform to use, and which analytics to use. Specifically CMOs say they need (among other things) the most help with identifying the entire customer experience across all channels; mapping the customer journey back to touch points within the customer experience; and developing a true 360 view of the customer. I find it fascinating that these are not technology issues or execution issues or even strategy issues. They are understanding issues. In this study, Oracle Marketing Cloud and The CMO Club have uncovered a key truth among modern marketers – we have more data than ever, yet we’re starved for insights. This is incredibly important, and it has become almost impossible for enterprise CMOs (even with CIO collaboration) to fully keep their own counsel with regard to marketing technology and implementation. Picking the right partner is just about as important as picking the right platform. Certainly, Oracle Marketing Cloud believes it has the breadth and expertise to be that trusted partner, and their focus on data (the petri dish for all hyper-relevant marketing) through their BlueKai acquisition (and others) puts them in a good position, as does their open architecture. OMC isn’t just an outward-facing marketing execution tool set, it can also serve as the DMP (data management platform) and a robust DMP will soon be a requirement for all large companies. Wise CMOS are bringing different types of thinkers and broader skill-sets onto their teams, and often organizing cross-functionally. Today’s CMO must be receptive to risk. If all you care about are averages and risk mitigation, you’ll never be anything but an average marketer. And inviting risk is not necessarily part of the historical job description for the CMO. The role of the CMO will keep getting bigger and broader, forcing a holistic view of customer experience, and adoption of marketing platforms (and partners) to execute on the real-time, relevant promise of modern marketing. 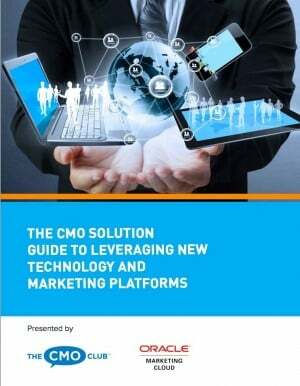 Grab a copy of The CMO Solution Guide to Leveraging New Technology and Marketing Platforms for yourself.